Dr. Ervin Laszlo is well recognized as the founder of systems philosophy. While at the United Nations, he headed various research programs related to sustainability. His written work has included an extensive amount of promotion and practice of sustainable efforts. He serves as President and Founder of the Club of Budapest, an organization devoted to promoting a new way of thinking for global solidarity. He also serves as the Chairman of the Ervin Laszlo Center for Advanced Study, Chancellor of the Giordano Bruno GlobalShift University, and Editor of World Futures: The Journal of New Paradigm Research. Laszlo is a recipient of the highest degree in philosophy and human sciences from the Sorbonne, the University of Paris, as well as of the coveted artist diploma of the Liszt Ferenc Academy of Budapest. Additional prizes and awards include four honorary doctorates. His appointments have included research grants at Yale and Princeton Universities, professorships for philosophy, systems sciences, and future sciences at the Universities of Houston, Portland State, and Indiana, as well as Northwestern University and the State University of New York. He is an advisor to the UNESCO Director General, ambassador of the International Delphic Council, and member of the International Academy of Science, World Academy of Arts and Science, and the International Academy of Philosophy. He was awarded the Goi Peace Prize in 2001 and was twice nominated for the Nobel Peace Prize (2004 and 2005). Laszlo has authored more than seventy books, which have been translated into twenty languages, and has published in excess of four hundred articles and research papers, including six volumes of piano recordings. 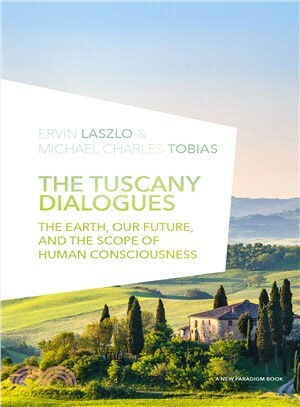 Dr. Michael Charles Tobias earned his PhD in the History of Consciousness at the University of California-Santa Cruz, specializing in global ecological ethics and the interdisciplinary humanities. His wide-ranging work embraces the global ecological sciences, art, comparative literature, the history of ideas, philosophy, and natural history in the context of a multitude of possible future scientific, geopolitical, economic, and social scientific scenarios. He is the author of over fifty books—fiction and nonfiction—and has written, directed, and/or produced over one hundred films. His works have been read, translated, and broadcast throughout the world. He has conducted ecological field research in over ninety countries and has been the recipient of many awards, including the international Courage of Conscience Prize. Tobias has been on the faculties of such colleges and universities as Dartmouth, the University of California-Santa Barbara (as both Distinguished Visiting Professor of Environmental Studies and the Regents Lecturer), and the University of New Mexico-Albuquerque (as the Visiting Garrey Carruthers Endowed Chair of Honors). An Honorary Member of the Club of Budapest, Tobias is a full member of the Russian International Global Research Academy, as well as the Russian Public Academy of Sciences. For eighteen years Tobias has been President of the Dancing Star Foundation (www.dancingstarnews.com; www.dancingstarfoundation.org) whose mission is focused on animal liberation, global conservation biology, and environmental education. Tobias’ recent books include Why Life Matters: Fifty Ecosystems of the Heart and Mind (with Jane Gray Morrison, Springer), Hope on Earth: A Conversation (with Paul Ehrlich, University of Chicago Press), Anthrozoology: Embracing Co-Existence in the Anthropocene (with Jane Gray Morrison, Springer), and the novel Codex Orfeo (Springer).